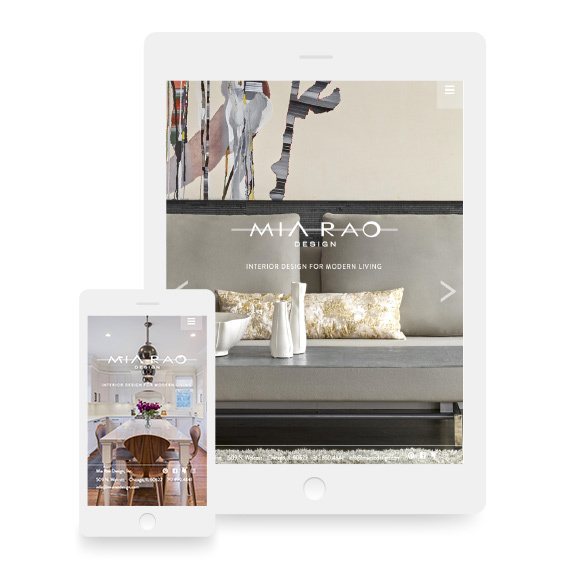 Mia Rao originally approached us in 2012 to create an online presence for her thriving interior design firm. 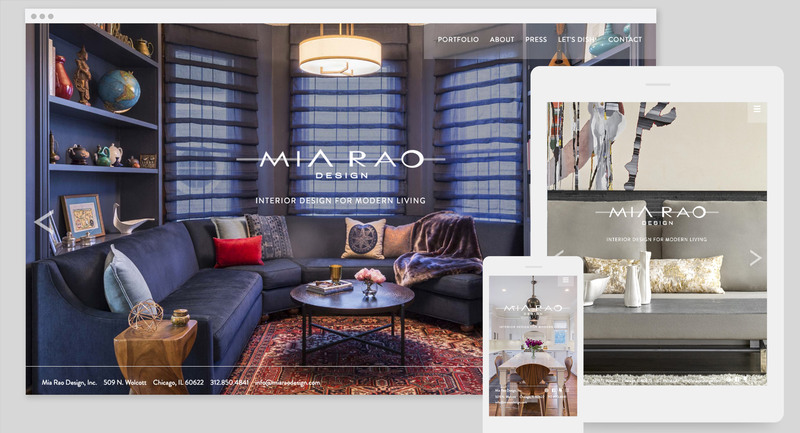 She was looking for a simple, minimalist site that would be clean and elegant and also showcase the Mia Rao Design projects and place them firmly in the marketplace as a top-tier design firm. 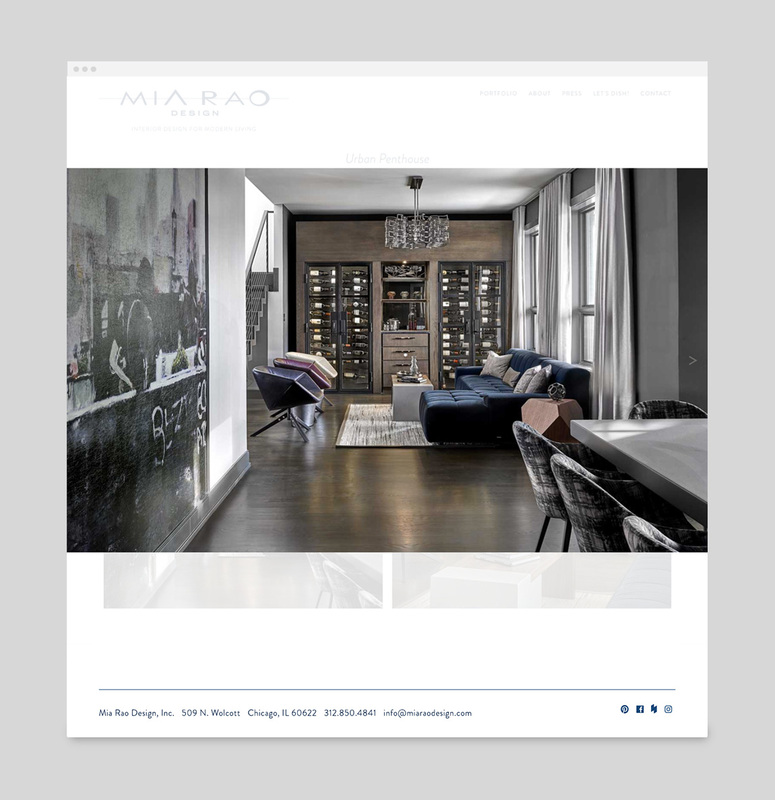 We worked closely with Mia to create just that site. In 2017 Mia was ready for a refresh — and we were thrilled to take on the challenge. 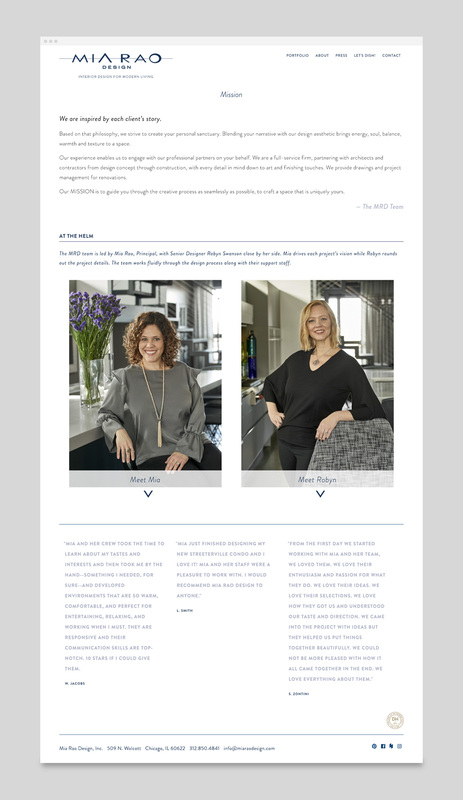 We left the bones of the site intact, while updating the design elements and reimagining the color palette, bringing in a bright white aesthetic, with bold chartreuse accents to liven things up and connect with her brand colors. 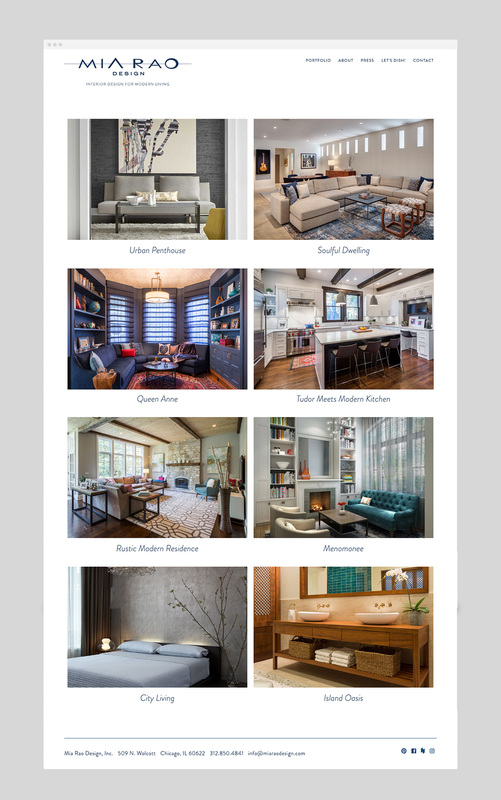 Our goal was to create a site that serves as a fresh canvas for her soulful, tactile interiors.